Ultimate Douche comes without retail packaging bulk. 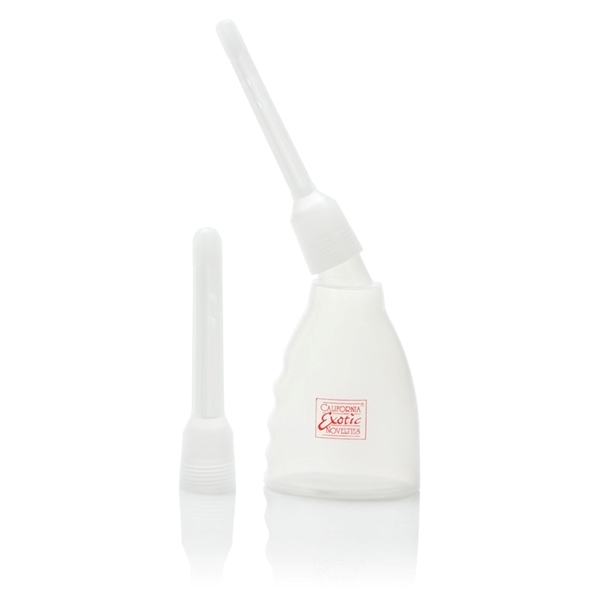 Reusable, easy-to-use, easy-to-clean hygienic system with transparent bottle and 2 interchangeable nozzles. Polyethylene PE. 3.25 inches .25 inch slim nozzle. 3.5 inches .5 inch standard nozzle. Bulk weight 1.3 ounces.